Spartan Warrior, Pharaoh and Vampire are my favourite. Having checked one box of mini figures and with reference from another collector, I presume this is more or less the standard figure breakdown for most of the original box of 60. For each box, there will be 3 complete sets of 16 mini figures, the remaining figures will be in 4 or 5 each. Now we will know which will be the expensive ones... the spartan warrior, pharaoh, disco dude, explorer. Currently the hottest figure will be the spartan warrior. The not so popular ones, are mainly mime, traffic cop, ringmaster and maybe weightlifter. We might have some surprise with the girls! As minifigures female figures are usually quite popular, example the cheerleader in series 1 is now the most expensive figure, the nurse is also in certain demand. For series 2, who knows the pop star and lifeguard will be pretty attractive too. In a box of 60, the ringmaster, traffic cop and karate master will have 15 out of 60. That will be 25% of getting these figures from a retail box. Here is a simple probability of getting the figures, presume a new box opened just for you. If buyer were to purchase the packet in Toy r us, or other shops, I guess it will be unlikely they will be able to collect the figures with x 3 in a box, unless it is a new box, and you are the first customer.. especially the spartan warrior, this will be the most sought after figure. 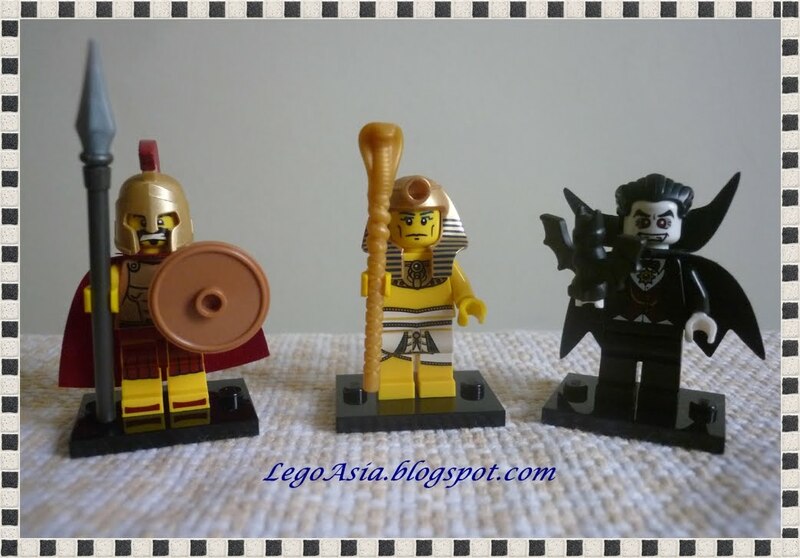 From Lego Site, check out the figures characters!